The BuzzAround EX 3-Wheel scooter is designed to provide you with excellent, long-distance transportation. This scooter is equipped with 2-U1 batteries, which are industry-leading, providing you with a maximized operating range. 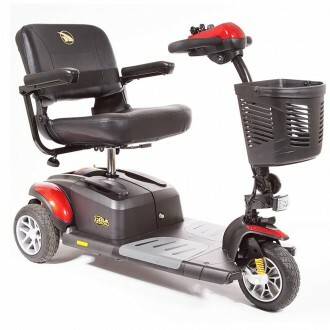 Click the button below to add the Golden Buzzaround EX 3 Wheel Scooter to your wish list.